To create a high performance race kite! This is the Ferrari from the 2011 Ozone kite range. Besides being a race kite, the designers also claim that the kite is suitable for big-airs. With its enormous depower range, explosive lift and controllability you can use the edge as a big-air weapon. 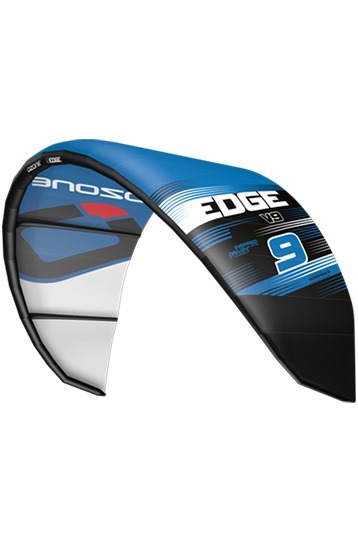 Compared to the 2010 model the 2011 Edge has an improved downwind capability. Riders like Adam Koch, who has been riding in the world cup since 2000, use the edge during course races. Technology is a hot issue in the kite surf racing circuit, the material plays a large role in the success and the ranking of the rider. Ozone strives to keep the feeling of the kite the same throughout the whole range, so switching sizes should not be an issue. The materials Ozone uses are of high quality; Teijin techno force sail material, double stitched seams, reinforcements on the most exposed areas and two possible settings to change the handling and bar pressure. 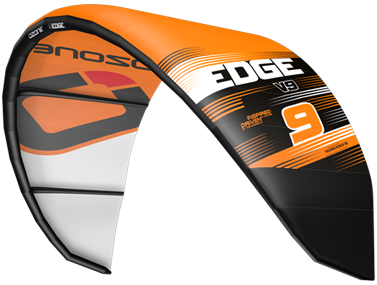 Ozone Edge, a high performance kite with big air ambitions!